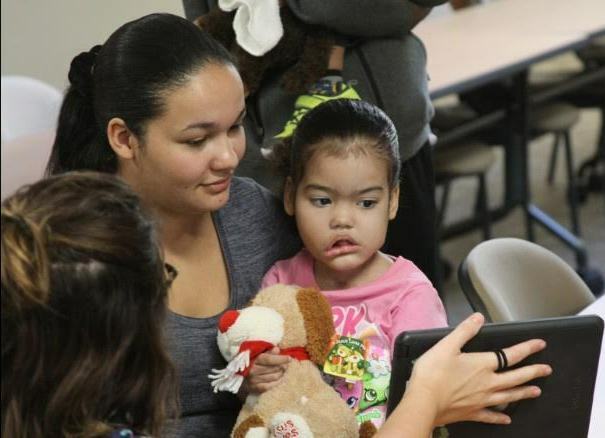 Doctors in Louisiana, United States, have conducted a successful surgery to remove a rare facial tumor from a 3-year-old Brazilian girl. 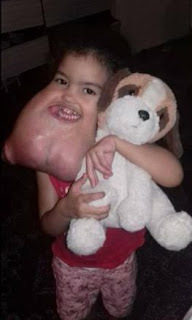 Melyssa Delgado Braga from Sao Paulo was diagnosed with myxoma, a very rare and aggressive tumour which weighed 5 pounds. This condition was making breathing difficult for the little girl and also was pushing her tongue to the back of her throat. In desperation, her parents reached out for help on social media and their saviour came in the form of a medical doctor. Dr. Celso Palmieri Jr., an assistant professor of oral and maxillofacial surgery at the Louisiana State University Sciences Centre, read a post online and came across the plea for help. The good doctor deciding his colleague, Dr. G.E. Ghali, could be of help to the girl showed Dr. Ghil the photo of the girl then set plans in motion to make it happen. A month later, Melyssa arrived the United States for the surgery and in December lat year, an eight-hour surgery was carried out and it was successful. 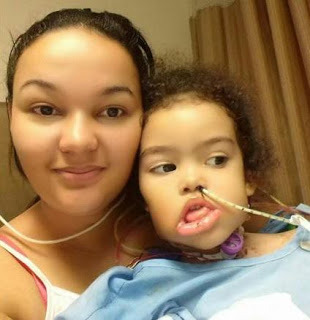 Mellisa regained the use of her tongue and her breathing returned to normal after the surgery. 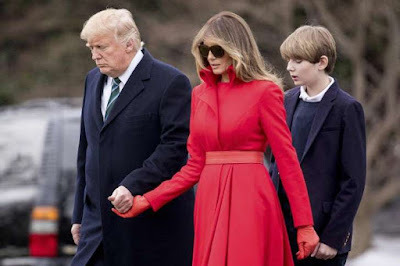 Most sufferers of myxoma generally die a slow, progressive death resulting from both malnutrition and blocked airways and this would have been the case of Melyssa, but for the timely intervention of the US doctors.